Young girls typically don't get the same opportunities as boys in tech, so we made easily programmable wearables. Girls don't typically get their fair shot when it comes to computers and technology. 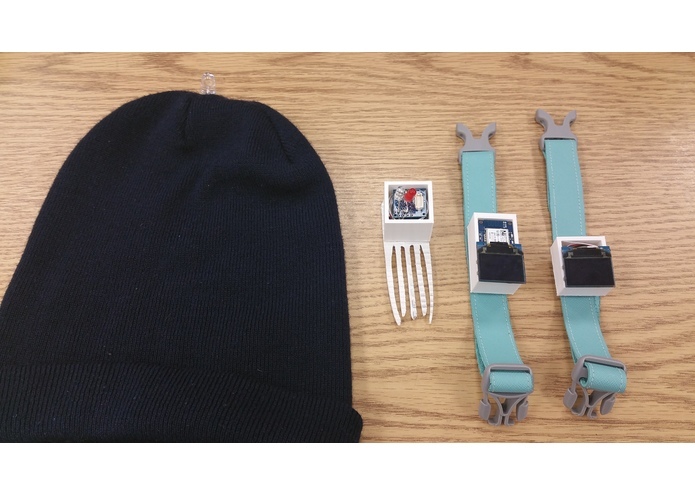 They are easily programmable wearables designed to teach young children how to code in a fun, non intimidating way. designing clothing and accessories is extremely frustrating and difficult to do. I work on tiny circuits for a living, so I absolutely plan to take these ideas back to the office and make them happen. I created the Android application that interfaced with the devices over Bluetooth.